In our last issue, we introduced readers to the idea of missional partnerships between local congregations and Mennonite Church Canada Witness workers around the world, and profiled two examples from B.C. and Alberta. In this issue, we continue telling stories from Saskatchewan, Manitoba and Eastern Canada. By Donna Schulz, Saskatchewan Correspondent, Rosthern, Sask. Although they have had other mission partnerships over the years, Jeanette Hanson marvels at the support she and her husband Todd have received from their two home congregations. The couple served as long-term workers to China, first under the Commission on Overseas Mission, and, more recently, under Mennonite Church Canada Witness. Both Tiefengrund Mennonite Church, north of Laird, Sask., and Grace Mennonite Church in Prince Albert, have supported the Hansons for more than 20 years. “When we first went [to China], we really felt sent by these congregations,” says Jeanette. Carolyn Vis of Grace Mennonite says of the mission partnership, “Our church has always been missional. It’s part of our church culture.” But, she adds, “there is an emotional bond as well. They are our friends and we look forward to spending time with them.” The congregation sent the Hansons weekly recordings of their Sunday serv-ices, and each Sunday worship leaders would greet each Hanson family member by name. Russ Friesen, Tiefengrund Mennonite’s pastor, sees his church’s partnership with the Hansons as “appropriate,” since Jeanette grew up in the congregation and is still a member. In addition to exchanging letters and emails, the church copied and distributed the Hansons’ newsletters to every member and posted updates on a dedicated bulletin board. Both churches invited the Hansons to speak whenever they returned to Canada for a visit. Members of both congregations travelled to China to visit the couple. Ed and Holly Olfert of Grace Mennonite went to China as part of a learning tour. Friesen and his wife Lorena participated in a China-Canada pastor exchange. These visits meant a great deal to the Hansons and also to the Chinese pastors they served. Several years ago, Chinese church leaders wanted to strengthen ties with Mennonites in North America, and felt the Hansons could better serve them from Canada. 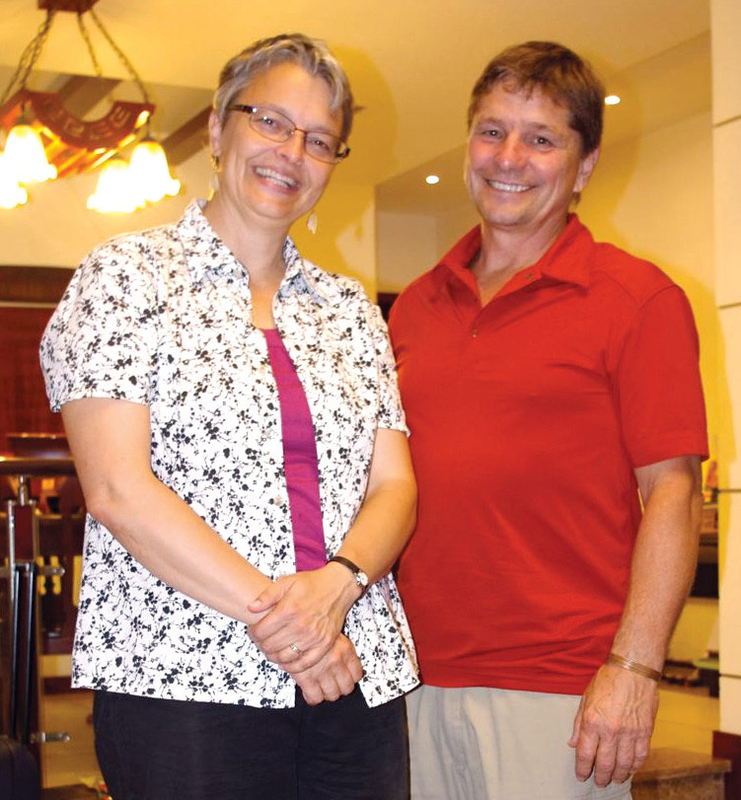 So in 2016, the couple returned to Canada, where Jeanette continues to work as assistant director of Mennonite Partners in China under the MC Canada Witness umbrella. Now that they’re back in Canada, Jeanette has even greater appreciation for these two mission partnerships. “There is lots of good stuff going on here, many opportunities to be involved in ministry,” she says. By Dave Rogalsky, Eastern Canada Correspondent, Baden, Ont. Jennifer Otto and her husband, Gregory Rabus, are Mennonite Church Witness workers in Ludwigshafen/Mannheim Germany. Originally they and Witness thought that they would work to plant a new congregation in Mannheim, gathering together young adults from rural congregations living and working in the city. But timing brought new and different opportunities, as a flood of refugees, many from Syria and mostly single men, arrived in the area. Otto, from Steinmann Mennonite Church in Baden, Ont., west of Kitchener, already had the interest of her home congregation as she and Rabus went to Germany to work. The congregation supported the change in focus, as the Ludwigshafen congregation partnered with Witness to use the congregation’s space to create a “peace house,” ministering to the refugees, providing many services that they needed, including language training. Rabus, with a master’s degree in Middle-Eastern languages, was well suited to this. 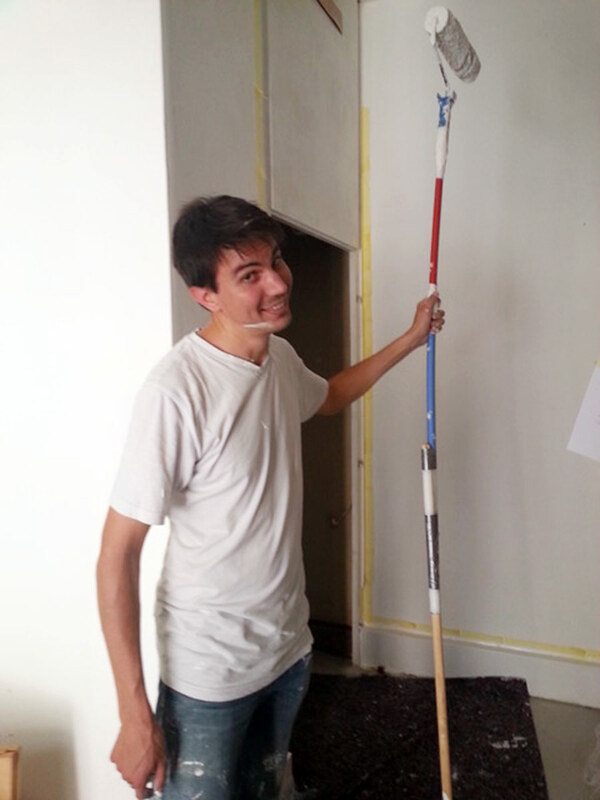 Members from Steinmann travelled to Germany for 10 days to help with renovations in 2016. And while the congregation does not have a separate budget line to support the couple, it has raised funds through a variety of projects, including banquets. Skype, emails and newsletters, as well as visits back and forth, have strengthened the relationship. Otto’s sister, Janessa Otto Yantzi, notes that the family’s roots in the congregation mean that some congregants know her well already, while others have gotten to know her and Rabus through visits and other contacts. Steve Drudge, one of Steinmann’s pastors, will be travelling in Europe during a sabbatical this summer, and with his wife he plans to visit the work in Ludwigshafen. Both Steinmann and the couple note that the current uncertainty about the future of long-term missions brings uncertainty to the work. “It is difficult to plan for tomorrow before we know what tomorrow looks like,” Rabus says. Drudge sees no problems with the current support model, pointing to “the strength of direct relationships, not just money, in personal relationships.” The model requires Witness, local congregations in Canada, and long-term workers abroad in order to work, he says. Charleswood Mennonite Church in Winnipeg was the home church for the Tshimanga family while Hippolyto served as director of Mennonite Church Canada’s ministry in Africa, Europe and Latin America, working out of the MC Canada office there. In the summer of 2016, Tshimanga and his wife, Miriam Maenhout-Tshimanga, moved to Bloemfontein, South Africa, as Witness workers with their sons, Emmanuel,14, and Joshua, 9. 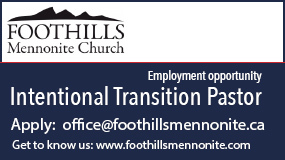 Their assignment is to work with local congregations while Tshimanga continues his part-time MC Canada director role. They are providing practical support and Anabaptist theological training to the five congregations comprising Grace Community Church. The Tshimangas are excited about the opportunities to help local congregations work on their own vision and become more self-sustaining. Cooperation with other organizations like Mennonite Mission Network, Mennonite Central Committee and African Inter-Mennonite Mission has helped local Christian entrepreneurs develop projects and skills. The Charleswood congregation has also had a history with Witness workers Bock-Ki Kim and Sook-Kyoung Park, who used to attend there. Now the couple serves in Korea, strengthening the Anabaptist presence and witness there. At this point, Charleswood has not formalized an official partnership with either family. “The Pastoral Care and Deacons Committee is committed to keeping in touch with both of them,” says chair Titus Guenther, noting that the congregation had a commissioning service for the Tshimanga family, and individual members designate their donations to MC Canada Witness for the family’s support. 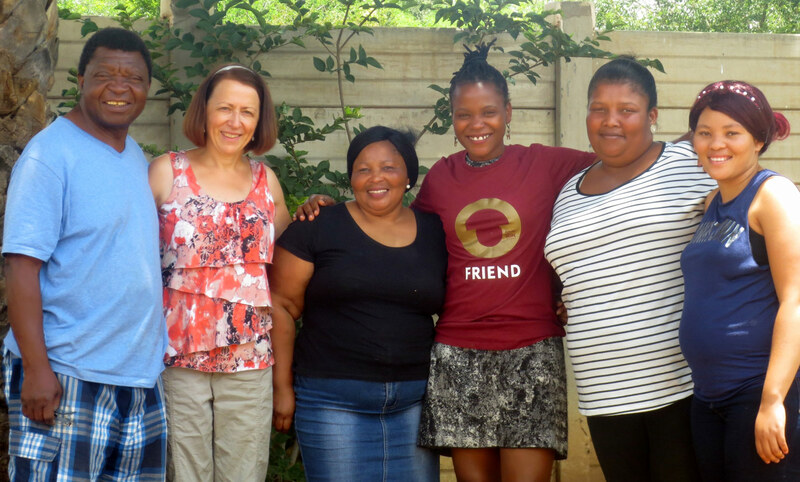 Across town, Sterling Mennonite Fellowship has begun to develop a more intentional partnership with the Tshimangas and their work in South Africa. “Our highlight so far has been a Sunday morning Skype call with the whole congregation,” Pastor Moses Falco reports. The 30-minute call happened in April during a Sunday morning service, with the Tshimanga family’s image projected at the front of the church and a camera pointed at the congregation. Miriam and Hippo told about their assignment and the community they’re relating to, and suggested ways Sterling might be able to help in their ministry. Cornie Thiessen, Sterling’s mission and service coordinator, says, “We started down this road because, as a committee, we challenged ourselves to find opportunities for our congregation to be relevant globally, nationally, provincially, locally and to each other.” The committee is exploring what a partnership with the South African ministry might look like. Back at Charleswood, both Guenther and Pastor John Braun recognize that changes are coming in how mission work is funded. Until now Charleswood has supported international missions indirectly, assuming that MC Canada Witness was the point of contact with the workers. But with the reshaping of the national church structure, that model will likely need to change. “How will [mission workers] get financial support and is it from us?” asks Braun. What responsibilities for international mission work will now fall to Canadian congregations and regional bodies? That is the question these congregations—and others across Canada—will continue to explore. 1. When you hear the word “missions,” what comes to mind? Donna Schulz quotes Carolyn Vis as saying, “Our church has always been missional. It’s part of our church culture.” What do you think she means by that? What kind of “missions culture” does your congregation have? 2. Fifty or a hundred years ago, having mission workers sent to far-off countries was an exciting venture for congregations. What are the mission stories and connections that you remember from earlier years? How has the vision for missions changed over time? 3. How has an increase in world travel changed the face of missions? Donna Schulz writes that “Chinese church leaders wanted to strengthen ties with Mennonites in North America, and felt the Hansons could better serve them from Canada.” What does this statement say about the changing role of mission workers? 4. What kind of mission partnership would best suit your congregation? What role could Mennonite World Conference play in these partnerships?